Kitchen Compost Bin is a convenient eco-friendly kitchen composter that is perfect for those who want to make compost at home. Food scraps go into a compost bucket, and when it’s full, you can carry the collected waste and throw it into an outside compost bin. 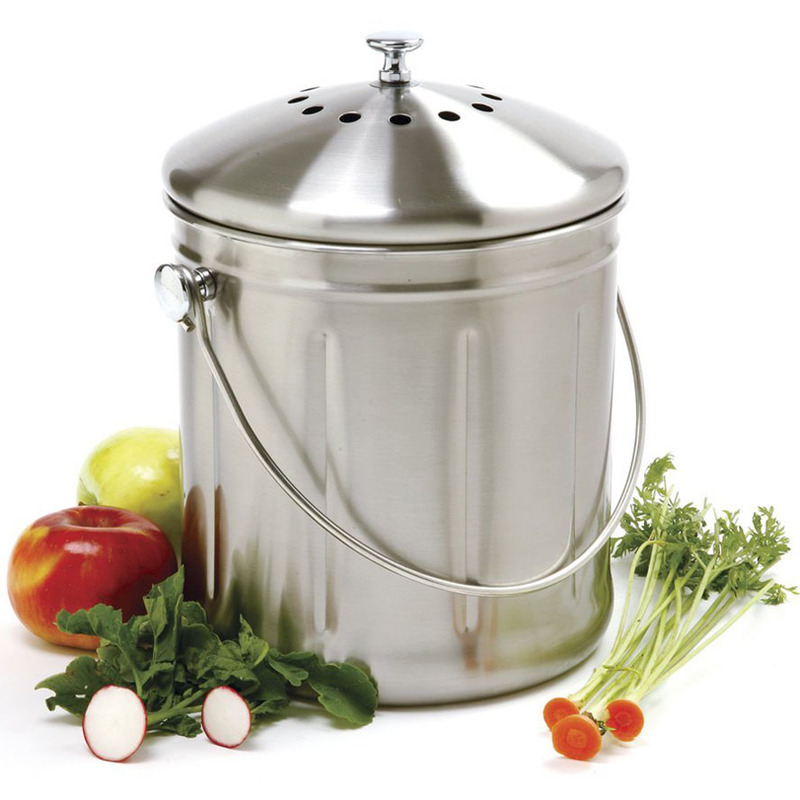 These odor absorbing kitchen compost containers are made of stainless steel, ceramic or polyethylene, and include filters to keep the smell out. They can sit on the counter or underneath the sink so you don’t have to make too many trips outside. You can keep the food waste in the kitchen for up to a week before transferring it to an outside composter. Stop throwing food scraps in the garbage and start using them as ingredients for home composting!